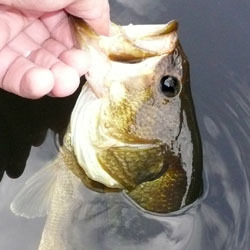 Using Texas-sized measurements, largemouth in Choke Canyon Reservoir are growing to semi-trophy proportions. The lake record is 14.67 pounds, and 10-pounders are common. Crappie and blue catfish numbers are also strong. Each detailed map provides depth, contours, structure, boat ramps, and updated fishing information. Choke Canyon Reservoir fishing maps also include lake info such as gamefish abundance, forage base, water clarity, weedline depth, bottom composition, complete latitude/longitude grid lines and dozens of GPS waypoints & coordinates.